Sat 8/9 - Sat 15/9 £295, Sat 15/9 - 22/9 £275. 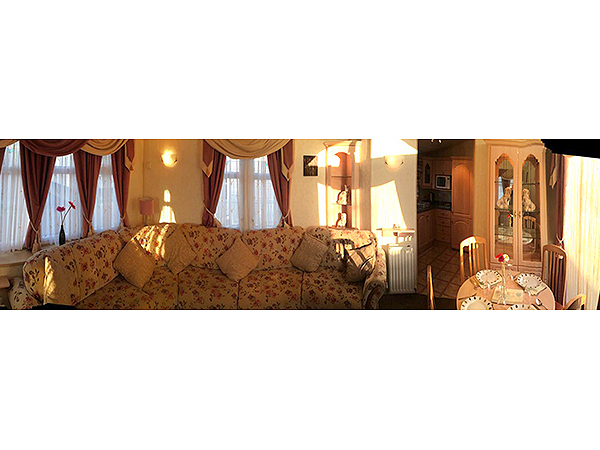 Living Area: Open plan, 32inc LCD Television, Freesat with 240 programs, DVD Player, Gas Fire, Coffee Table & Radiator. 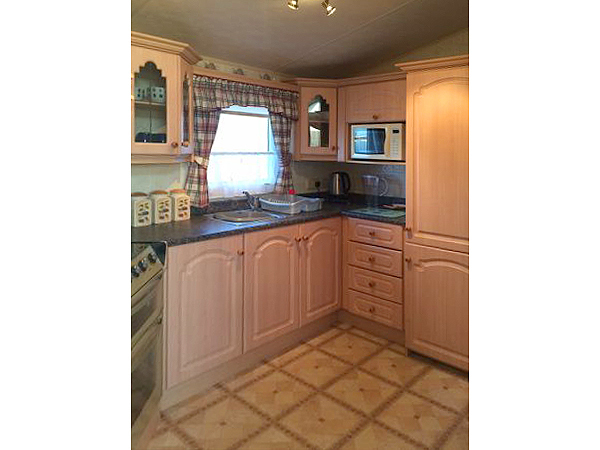 Kitchen: Full Cooker, Fridge, Microwave, Toaster, Kettle etc, + Iron & Ironing Board. 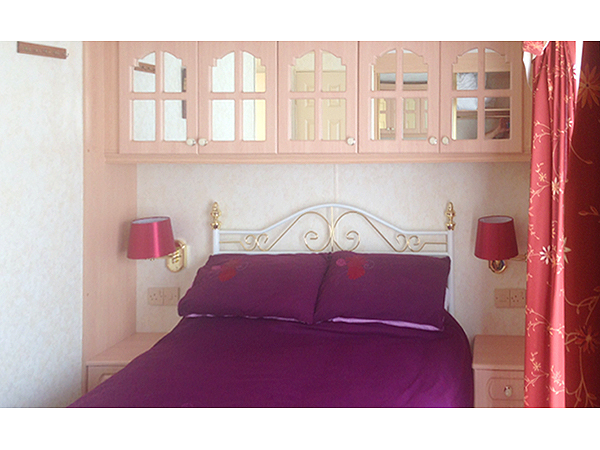 Master Bedroom: En-suite, King Bed, Fitted Wardrobes, Draws, Shaving Point & Radiator. 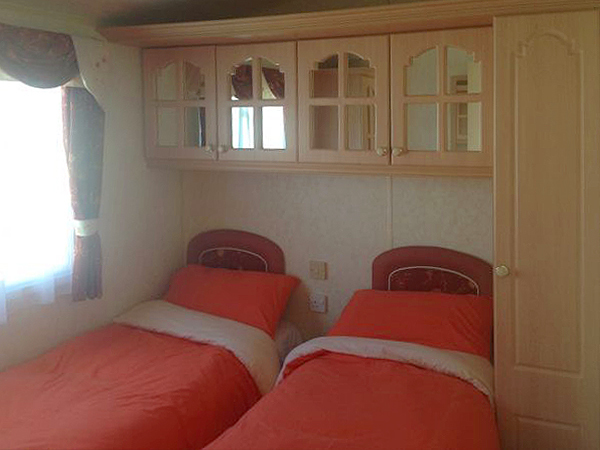 Bedroom 2: 2 x Single Beds, Wardrobe, unit & Radiator. 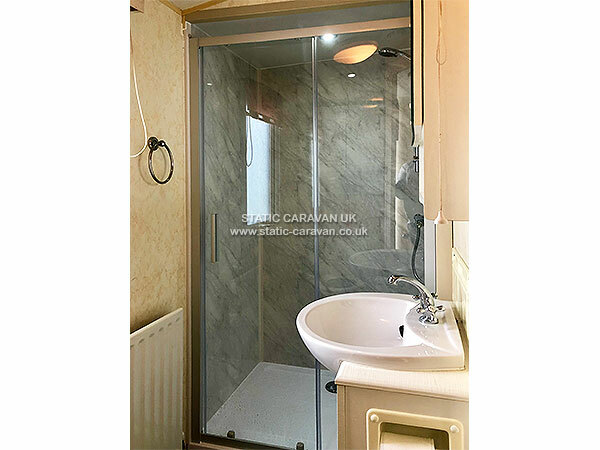 Bathroom: Power Shower, Handbasin, Toilet & Radiator. 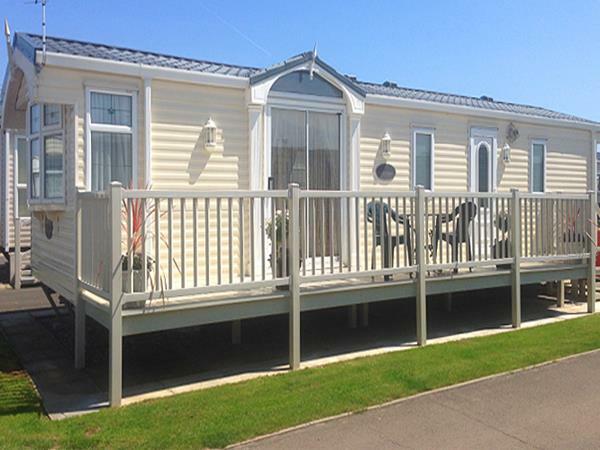 Outside: Large PVC Decking South Facing (sun all day) Gated, with Table, Chairs & Lights. 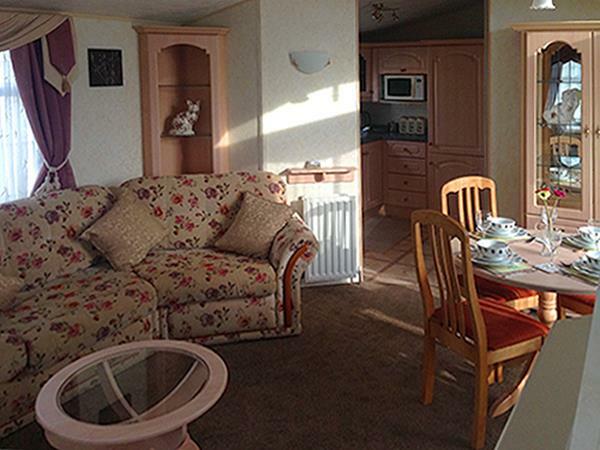 The Site is situated in the Heart of Ingoldmells next to the beach. 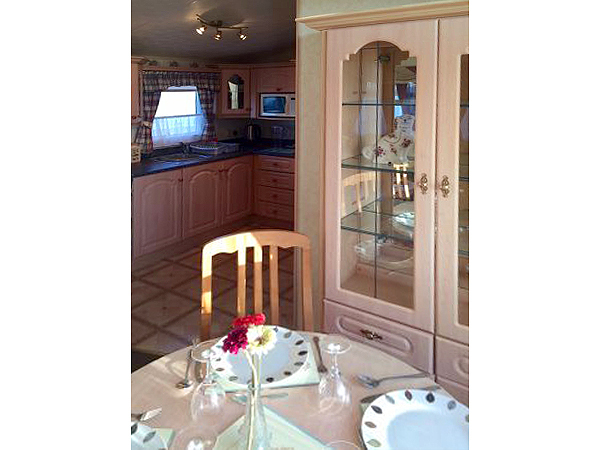 Well maintained site with parking outside caravan & parking bays for visitors. Amenaties: Barn club with cash Bingo, Anchor family show bar, Ogrady's family show bar, Amusement Arcades, Gift shops, Premier, Londis & Spar shop. 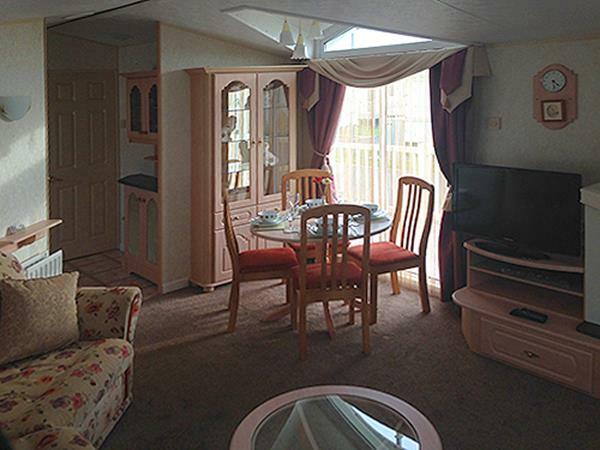 5 minute walk to Beach, 10 minute walk Fantasy Island theme park + Europes largest 7 day a week Indoor/Outdoor Market withShow bars, 5 minute drive Butlins, 4 miles Skegness, Opentop buses run regular. 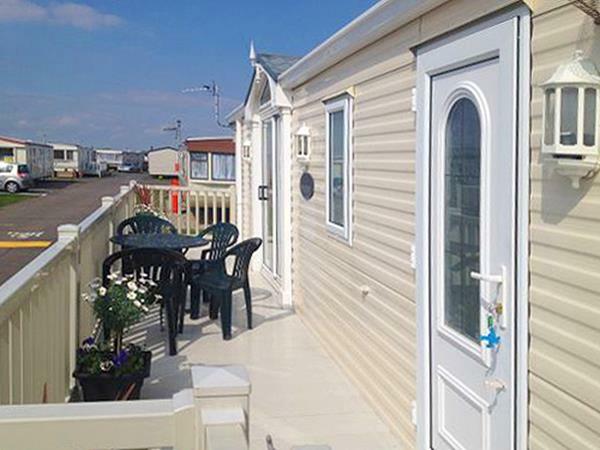 A £50 Deposit/ Bond is Required within 7 days to Secure the caravan on Booking, Deposit can be payed by Cheque, Bank, Bank Transfer. Deposit / Bond And only Returned on day of Departure if Caravan left as found. The Holiday must be paid within 5 weeks of the Holiday start date.